It is traditional in immunology to most often characterize cell type polarization events by specifying either (i) the perceived causative transcription factors or (ii) the environmental cytokine milieu that is necessary to modulate cell type phenotypic transitions. Such factors are considered to give rise to cell surface receptor populations that then, somewhat uniquely, define myeloid and lymphoid functionality. The evolving ability to maintain functional integrity under constant threat is a defining feature of living organisms and their immune systems. Success is dependent on the ability to both recognize and respond to a constellation of environmental stressors. While such stressors can be either non-self or self, in origin, their cellular perception sets in motion immune responses that, by polarizing various cell subpopulations, seek to mitigate or eliminate perceived threats. C-type lectin-type (CLEC) receptors are integral to many critical aspects of the immune system. The spectrum of immunological responses that environmental stressors can evoke include (i) Ca2+ mobilization; (ii) ectodomain receptor shedding, and (iii) immunogenetic reprogramming. Since most endocytic CLEC receptors require Ca2+ for recognition of the ligand, their release from the receptor after internalization into an early endosome constitutively initiates a Ca2+ signal. Owing to their structural flexibility and adaptive potential, various receptor super-families have been recruited to efficiently distinguish and help resolve these varied environmental danger signals. Prominent members of the CLEC superfamily are uniquely positioned at critical immunological checkpoints on myeloid and lymphoid cell types. These receptors influence the balance between appropriate immunogenic or immuno-tolerant responses. This Research Topic will provide an updated overview of sentinel CLEC receptors and their varied role in cellular polarization events. This collection of articles will describe in detail the critical pathways regulated by Ca2+ that modulate activities of immune cells. 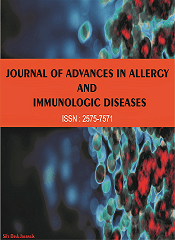 As such, this collection can be viewed as a more focused extension and an update on earlier efforts seeking to better understand immune function from a danger-signal induced polarization and proliferation perspective. 1. Immunological trajectories with an emphasis on environmental stressor ligand binding to endocytic CLEC family members and the subsequent ramifications. 2. CLEC receptors that initiate immune responses through a variety of motifs such as the immunoreceptor tyrosine-based activation motif (ITAM), the immunoreceptor tyrosine-based inhibitory motif (ITIM) and motifs that direct endocytosis. 3. The role of Ca2+ in proliferation and polarization of immune cells. 4. The profiles of CLECs on dendritic cell subsets. 5. Environmental stressor ligands that, while not binding directly to CLEC receptors, initiate enhanced or altered CLEC expression.